Do you know where your next meal is coming from? Do you wonder how your next month’s rent or car payment or other bill is going to get paid? Our basic essentials in life obviously come because we can pay for things…right? What we make at our jobs generally helps to pay for our lifestyles. Sometimes, though we realize that we have not been living within our means when we run up a credit card or lease/buy a vehicle that we cannot afford the payments on. Living within our means forces us to realize that we ought to separate our needs from our wants. When we pray to our Father in heaven the way Jesus has instructed us in what we call “the Lord’s prayer” what we realize is that we are placing our entire being, fully surrendered, at the foot of God himself. When we pray “give us today our daily bread” we are not praying for tomorrow’s supplies or tomorrow’s worries, we are strictly and implicitly focusing on what is right before us within this very day. Who knows what tomorrow holds, but when we focus on God, his might and power and his kingdom, we can’t but help realize that He is ultimately in control over our basic needs. When we pray this portion of ‘the Lord’s prayer’ we quickly realize that it’s not our wants that He will supply but our needs. What is it that you need today? What do you struggle with daily? Have you prayed about it? Is it really a need or is it a want? 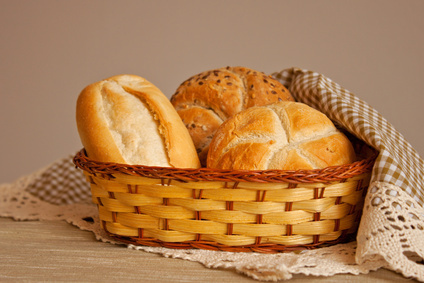 “Daily bread” isn’t necessarily the food that we eat but every human supply of our needs is included here. God is supremely over all and through all! When we come to this conclusion even the little things in life are blessings given to us by God and we ought to thank Him for these daily…even moment by moment. Do you have needs? Are you lacking today? Have you prayed about it? Are you surrendering it all to your Father in Heaven? Consider the works of His hands today and consider how blessed we are because He can and will provide for us the things that we need. Previous Post Previous post:Why do bad things happen to good people?